In 12 days, Norway will celebrate the 200 year anniversary of the signing of its constitution. Before we arrived in Norway, I thought Syttende Mai (the seventeenth of May) would be a celebration something like the Fourth of July in America. And in many ways, it is. Only bigger. WAY bigger. 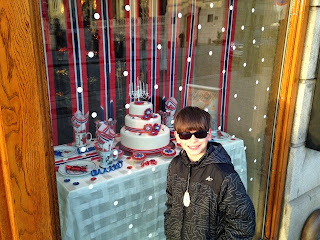 Over the next couple of weeks we will share some posts about Norway’s constitution day. 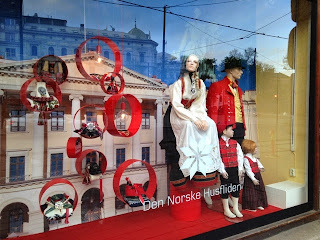 For now, here are a couple of cool syttende mai window displays we saw in Oslo last week.